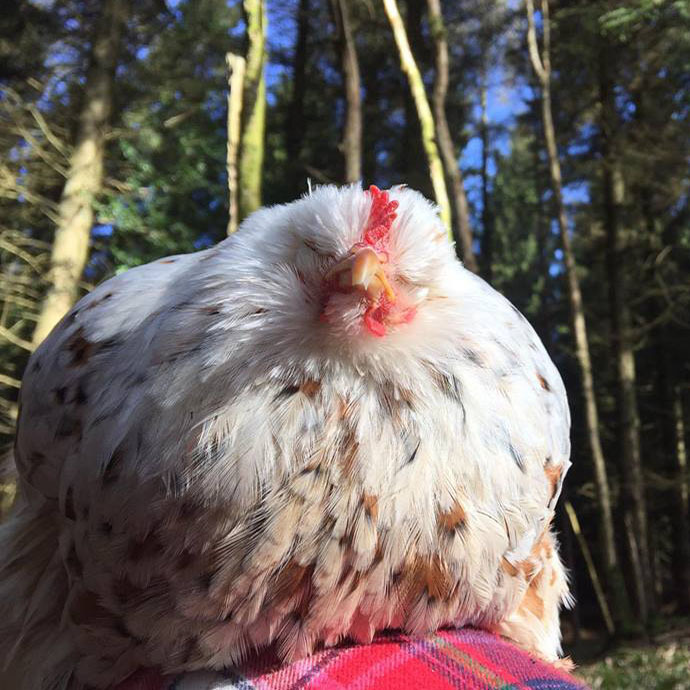 Mumble is a Mille Fleur bantam Cochin hen from North Somerset, U.K. that was born without eyes---she was blind. 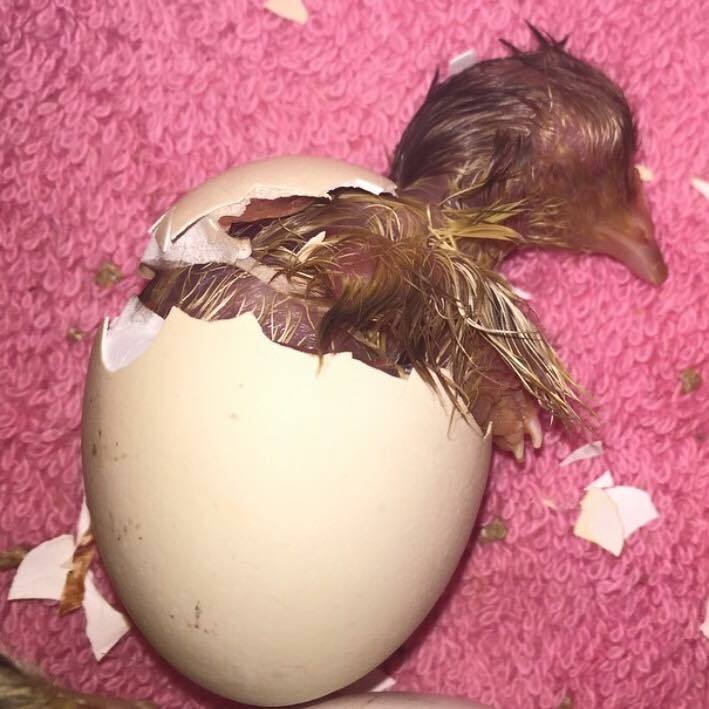 Rebekah Stewart hatched the little chick from an incubator on May 4, 2015. 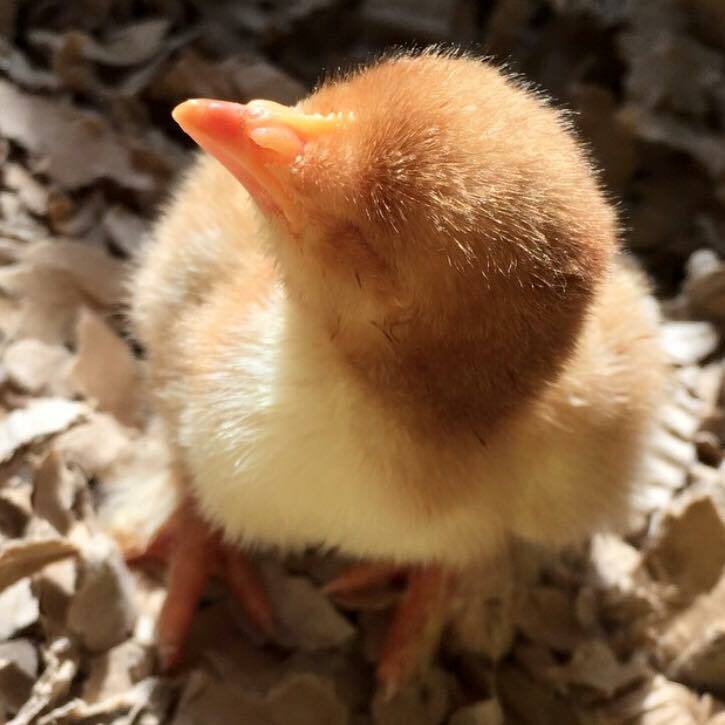 Although she had hatched chicks before, she had never seen one born without eyes. 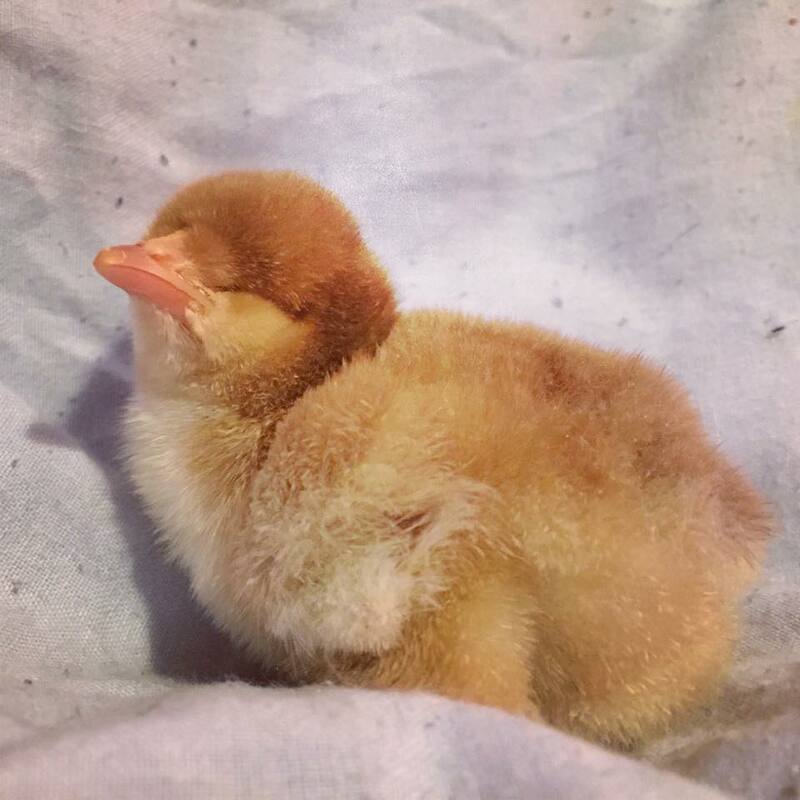 She wasn't sure what to make of it and went searching online to see if anyone else had experience raising a chick without eyes. The people she spoke with all advised her that the best thing for her to do would be to "cull" (kill) the newborn chick. 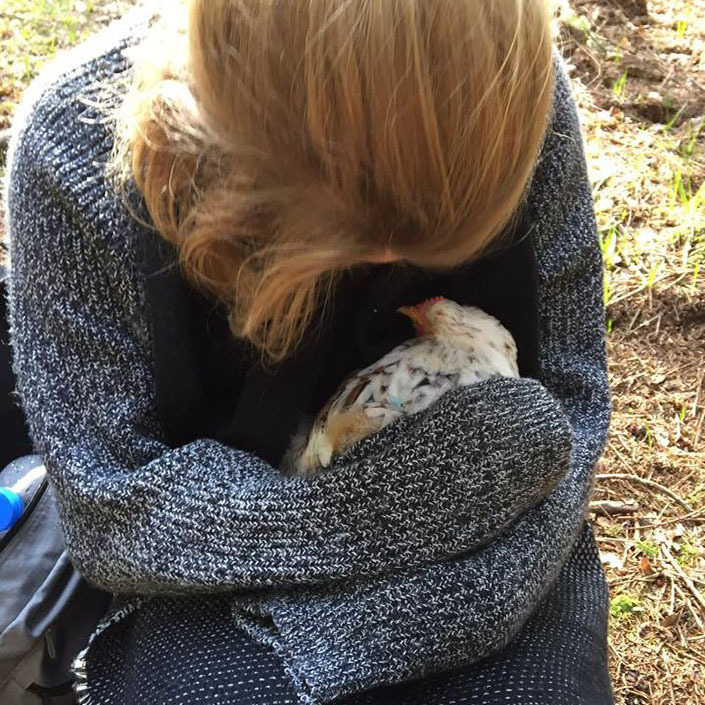 However, Stewart believed the little bird deserved a chance at life and was willing to provide her with the opportunity. Since Mumble had no eyes, she was at risk of dehydration, starvation, and injury. 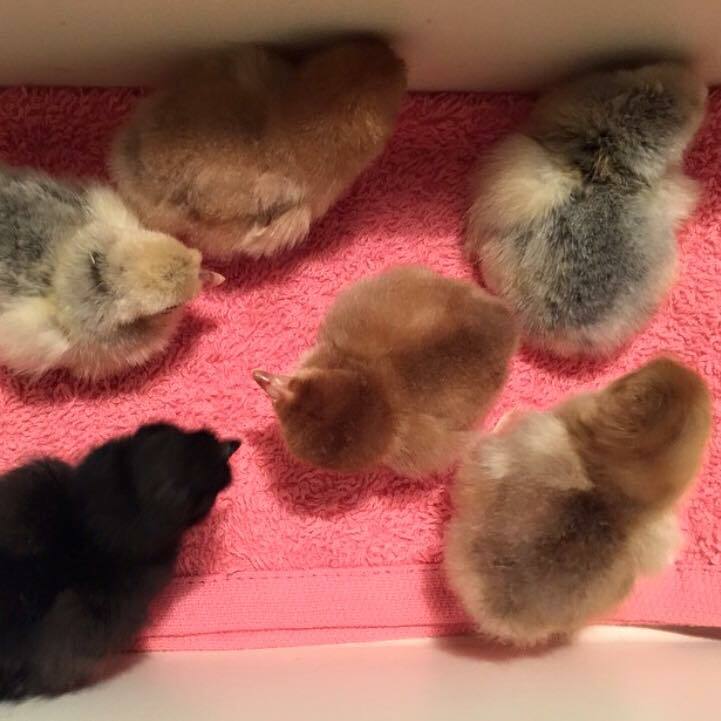 Stewart knew that she would need to raise Mumble separately from the other birds, in order to ensure that she had unrestricted, easy access to water and feed---without risk of getting accidentally trampled or picked on. 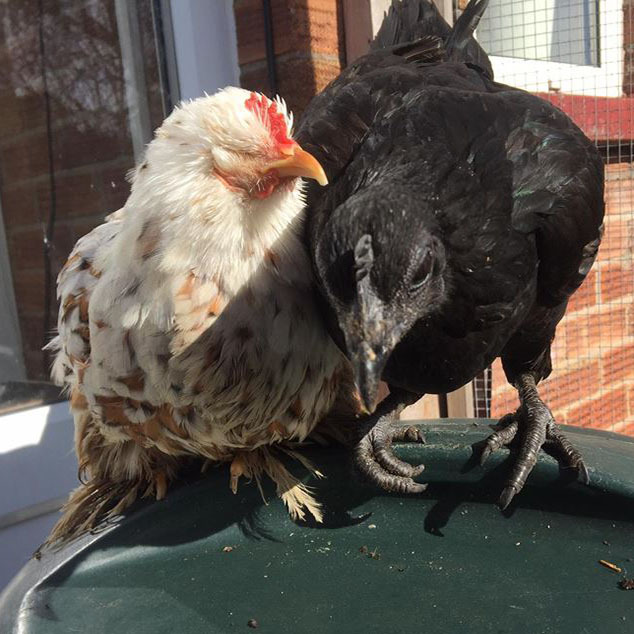 However, so that Mumble did not become lonely, especially due to the fact that she was unable to see, Stewart kept Mumble with one of her hatch-mates, Cleo. 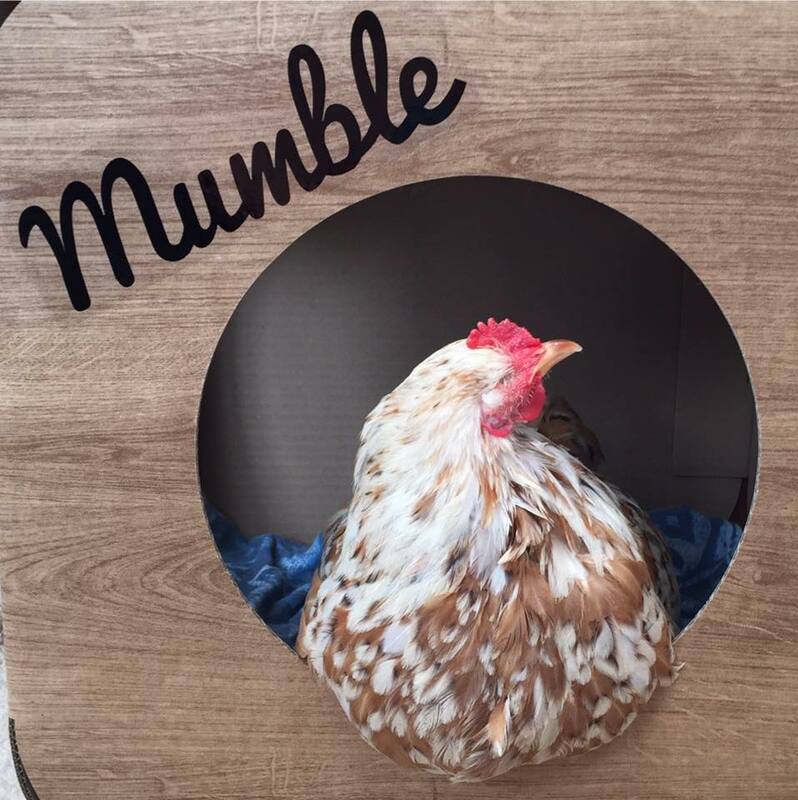 In order to help increase Mumble's feed consumption, during meals Stewart would place Mumble in a small container that she filled with two inches of chick crumble---which made it so that every bite Mumble made was of feed. This method helped, but it still wasn't helping Mumble gain the weight that she needed to, in order to keep up with the growth rate of her hatch mates. Therefore, Stewart tried mixing mashed boiled egg yolk in with the chick crumble. 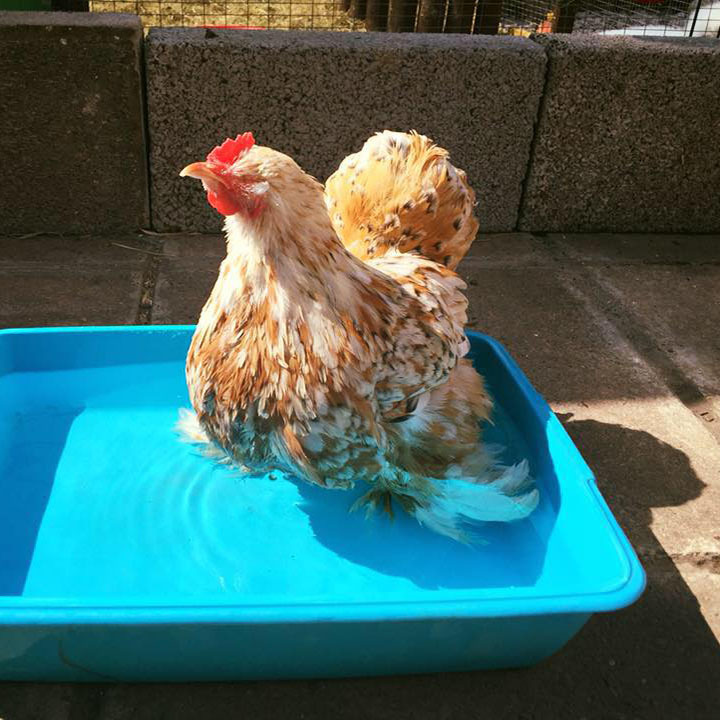 Soaking it in water provided an additional benefit of keeping Mumble hydrated---as being a special needs chick she had a higher risk of dehydration. Today, Mumble is now almost two years old. 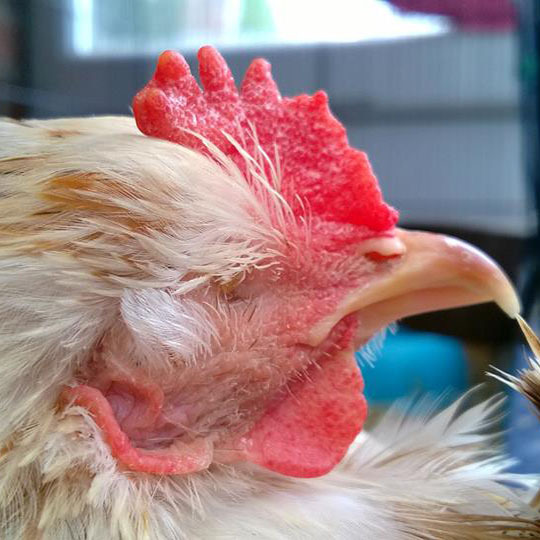 She lives indoors with Stewart as a house chicken, alongside her sisters Cleo and Elvis. 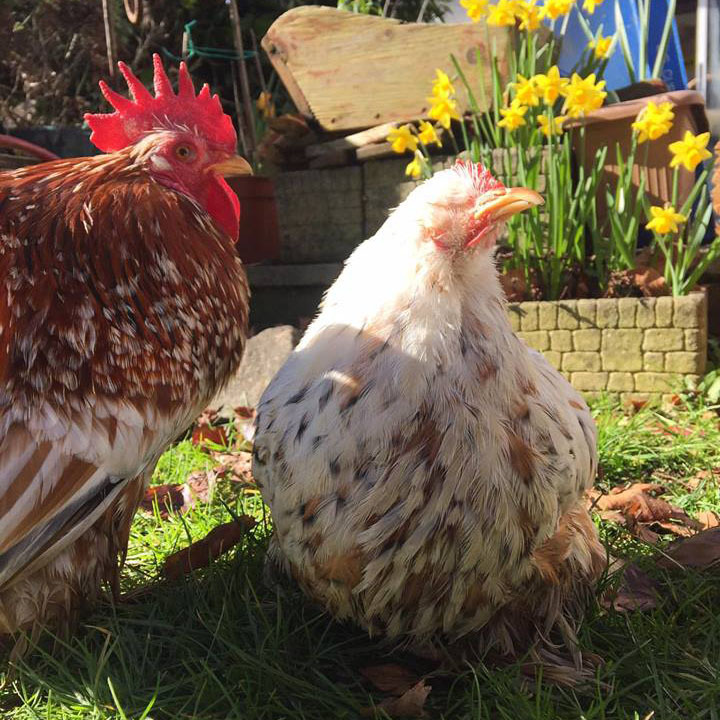 The three sisters are provided daily access to the outdoors in order to forage, dust bathe, explore, and enjoy the warmth of the sun on her feathers. Since Mumble can't see, she is not as adventurous as her sisters, and tends to stay within her comfort zone. 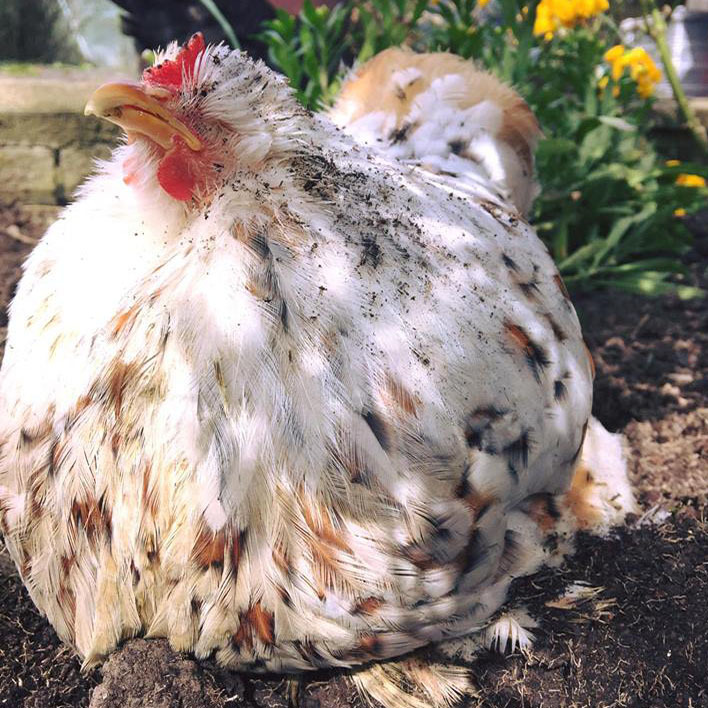 If her sisters Elvis and Cleo get too far away from her, Mumble will peck the ground and call out to her sisters in order to make sure that they are still nearby. If Mumble is accidentally left alone, she will either spin in circles or slump to the ground until Stewart rescues her.